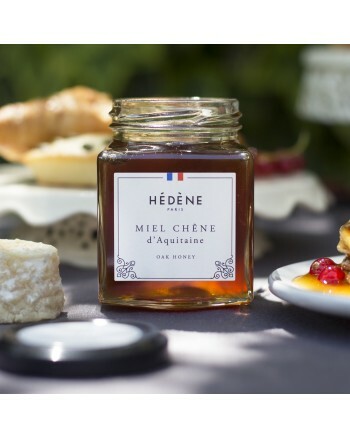 Hédène French oak honey, harvested in Aquitaine, is intense. It has delicious liquorice overtones and a liquid texture. 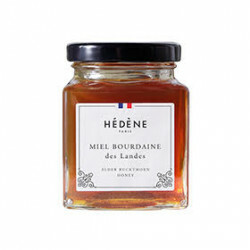 Oak honey is very dark and its woody overtones enhance its delicate aromas, sweet as a candy. 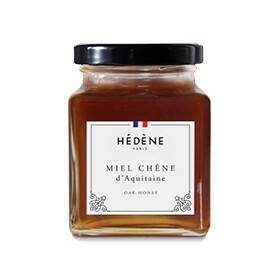 Harvested in France, Hédène oak honey has a strong liquorice fragrance. Various and long-lasting, its woody aromas are in a way reminiscent to Aquitaine’s flourishing woods. With a liquid texture, it is intense and slightly fresh on the finish. Thanks to its surprising taste, this honey is really appreciated by connoisseurs. Oaks blossom at the end of spring. Harvest is irregular but generally happens in mid-summer. Oak honey is perfect with tea, white cheese or detox drinks. Thanks to its typical taste, it may also be the secret ingredient of a tasty sweet and sour sauce.